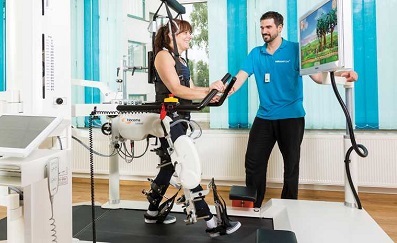 "Therapy robots could help patients get back on track more quickly." Professor Robert Riener writes in ETH Zurich that conventional physical therapy for stroke survivors is not intensive enough. According to Prof. Riener, therapy robots can help increase the number of repetitions – and thus the intensity of therapy. “Every seventh person reading this blog will suffer a stroke one day. In Switzerland, it affects 16,000 people every year, and worldwide more than six million. And as our population ages, stroke incidence is rising. During a stroke, entire areas of the brain decay, often leading to severe paralysis of one half of the body, speech and vision disorders, and impaired cognitive performance.